These pictures were taken during a urine stain removal treatment at a home in Tampa FL. Unfortunately, I took a picture of my own shadow in the after picture so excuse the dark patch in the lower right of the picture. You can see the urine stains in the before photo. The after photo has no visible urine spots but the carpet is still damp in those areas. 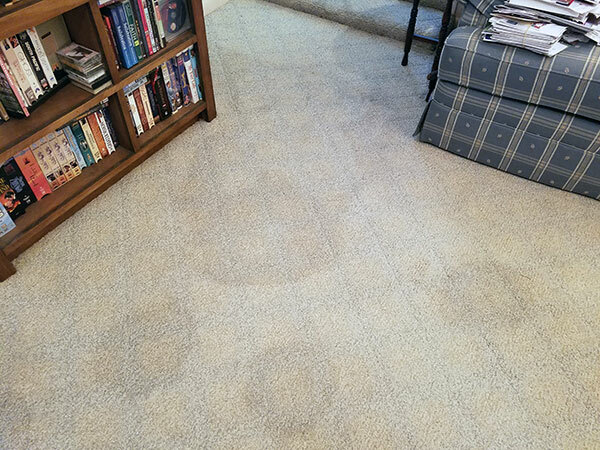 Our urine stain removal process includes cleaning and sanitizing the carpet as well as neutralizing the ammonia odor that is off gassed after the urine has dried in the carpet. Although, the ammonia is not released with enough concentration to be considered a health risk the bacteria feeding off the urine crystals is. 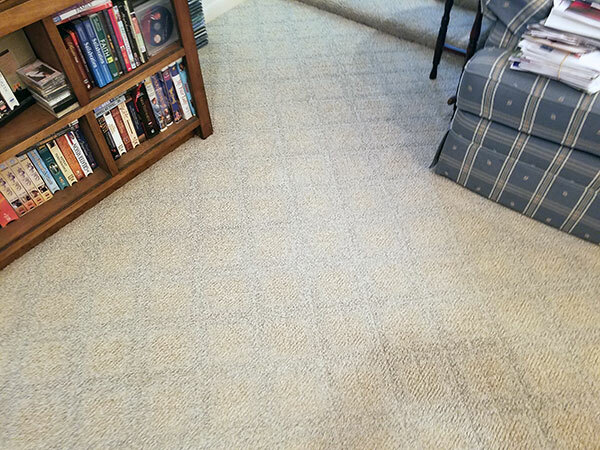 At Chem-Dry of Tampa FL we can remove up to 99% of the urine and related bacteria in the carpet leaving it fresh and clean. For urine stain removal in Tampa FL call Chem-Dry of Tampa.